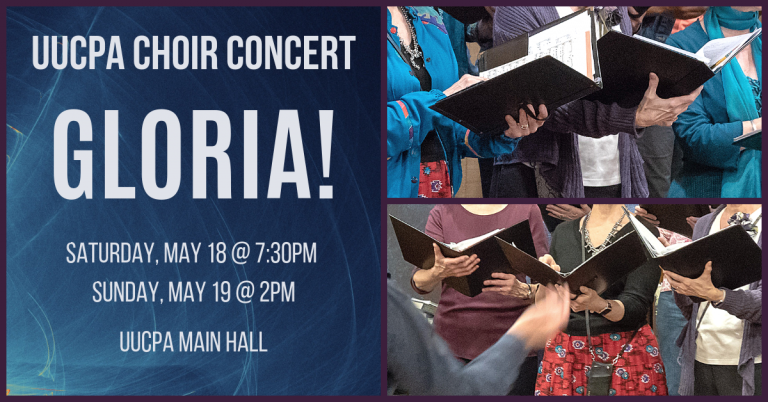 Support both UUCPA and the UUCPA Adult Choir on Saturday, May 18 at 7:30pm, and Sunday, May 19 at 2pm, as the choir brings you a beautiful program of choral masterworks with special guest vocal soloists and a chamber orchestra, in a concert that is also a fundraiser to support the church! 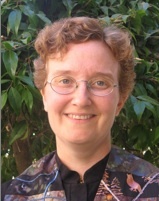 The program will include Mozart’s Regina Coeli, with SATB soloists, choir, and chamber orchestra; Poulenc’s Gloria, for soprano soloist and choir, with piano accompaniment; Five Hebrew Love Songs by Eric Whitacre, for choir and string quartet; a beautiful setting of Ralph Waldo Emerson’s text Alway Something Sings by composer Dan Forrest, for choir and string quintet; and an exciting selection of operatic arias performed by some of the most talented singers in the Bay Area: Allison Collins, soprano; Katja Ferris, mezzo soprano; Alex Boyer, tenor; and Ben Brady, bass. Tickets will be available beginning April 14 on the patio after each service and at the church office during normal business hours. Suggested donation: $20 in advance, $25 at the door.